Call 619.299.4272 to schedule a showing of this listing prior to its market debut. Inspired by the architecture of Homer Delawie, this home is a minimalist modern masterpiece. Floor-to-ceiling windows and 20-foot retractable walls frame an open floor plan which creates the perfect fusion of indoor/outdoor living. Meticulous attention has been given to materials, finishes and detail: woods range from wenge to walnut; countertops are Caesarstone; stainless steal, travertine, granite and hot-rolled steel are featured throughout. Centrally located and sited on a quiet cul-de-sac. Defining urban oasis, this exquisite retreat, nestled into the hillside, affords both tranquil exclusivity and spacious luxury. Well- appointed designer kitchen with quartz countertops, Viking range and ample storage opens to great room with both indoor and outdoor dining areas. Expansive upstairs master suite features adjacent office area, private deck, lavish bath and walk-in closet complete with additional washer/dryer. Entry level includes three additional bedrooms and two bathrooms. Spacious two car garage with multiple storage areas complete this city haven. Call 619.299.4272 to schedule a private showing of this listing. Built in 2009, this dramatically designed urban retreat exemplifies contemporary, carefree living. Modern floor plan includes open living areas with walls of windows and treetop outlooks. Designer kitchen with retractable glass doors opens to patio complete with water feature and fire pit. First level features two-car garage with storage, home theater, laundry room and elevator access to multiple levels. SPANISH COLONIAL DESIGNED BY RICHARD REQUA IN MISSION HILLS. 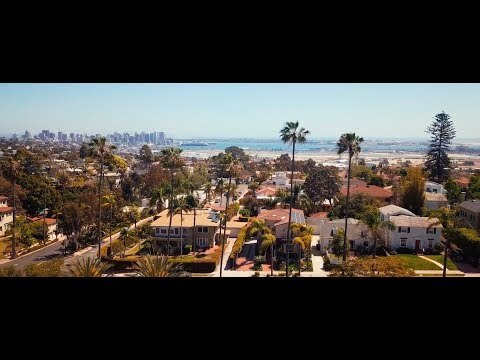 SOLD in October 2018 for $1,850,000. Rare opportunity to own a 3 bedroom unit in the historically designated Salomon Building designed by Henry Hester and located across from Balboa Park. This pristine mid-century modern second floor corner unit features floor-to-ceiling windows, stainless steel appliances and cork floors. Spacious master suite enjoys park views and luxurious bath. Mills Act status offers significant reduction in property taxes. 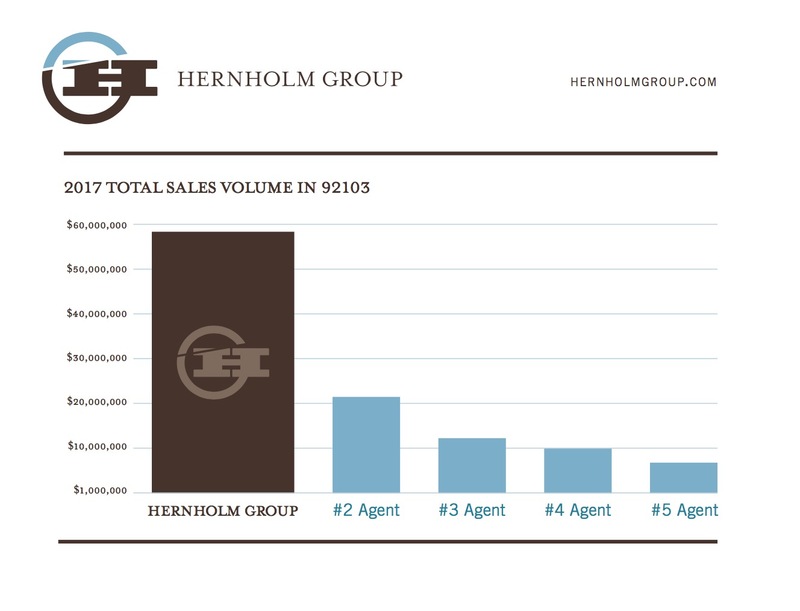 For the nineteenth year the Hernholm Group ranked as the #1 producer in the 92103 zip code. HISTORIC CRAFTSMAN IN MISSION HILLS. 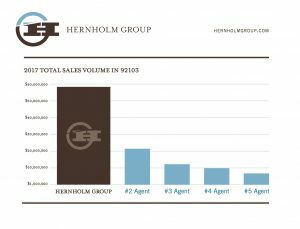 SOLD in February 2018 for $1,720,000.